Lebanon Block and Supply Company – Quality Building Materials At A Price You Can Afford! Are you thinking of starting a home improvement project like building a new deck, installing new windows or replacing flooring? We can help! Check out our Building Materials department for a listing of products and brands to help you get the job done. Color can transform your world. It has the ability to help you express anything you wish. it can be powerful, soft, energizing, or tranquil. The colors you choose define a space and give it personality, mood. Visit our Paint and Paint Sundries department today! Whether it’s a hammer drill or a socket wrench you need, we’ve got you covered. 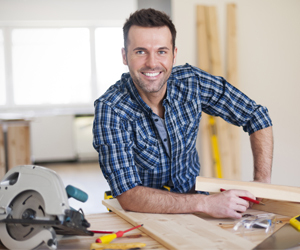 Visit our Hand & Power Tools department to view the products that you need to complete any job. Lebanon Block & Supply is your #1 source for DeWalt and Bostitch tools. Lebanon Block & Supply offers competitive pricing on thousands of name brands. Want to find out more? Stop by and visit or call us at 1-276-889-2921. Lebanon Block & Supply has everything you need for any project; big or small. Whether it’s a hammer and nails or a new socket set, we can help. We offer a full selection of all your basic hardware needs. With top name brands and everything for the DIY’er, Lebanon Block & Supply offers you value without compromising quality. Stop by and visit our Hardware Department today! 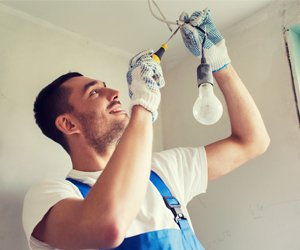 Want to replace those outdated light fixtures? Need to replace that fuse box with a new, safer load center? Lebanon Block & Supply has everything you need to complete your electrical project. We carry building wire, work boxes, wiring devices, load centers and more. Stop by today and see our Electrical department. Updating your bath or kitchen can be as easy as adding a new faucet. Lebanon Block & Supply has the brands you know and trust to help you add character to your home. 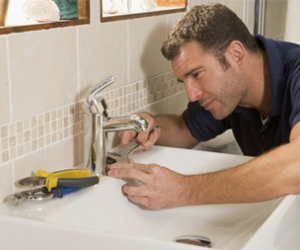 We also offer hundreds of repair parts to fix most annoying plumbing problems. Stop by and check out our extensive Plumbing department. We take customer service very seriously. customer satisfaction, we guarantee it. Let’s get your project started together.